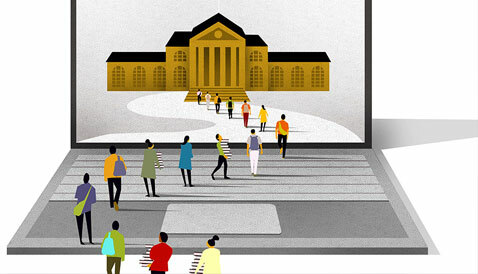 What is the future of traditional universities in the world? Incredible advancement of Information communication technology (ICT) and its massive use has drifted the role of a traditional university. The technical affordance of digital books, journals, periodicals, magazines, research papers, high quality streaming of videos, mobile phone connectivity, cloud-based computing and “Just in Time” learning modules have pushed vast amount of knowledge to the “placeless” Web. Another addition is the convenient access to the world’s most cutting academic research, which has brought about establishments of individual contacts between the academics from different parts of the world. These developments have also brought a new learning paradigm in the universities of technologically advanced countries for millennial, “the always connect generation”. These developments have also brought a new learning paradigm in the universities of technologically advanced countries for millennial, “the always connect generation”. Currently, the debate is going on in the world that what is the future of traditional university and class room learning (Bricks) when ICT has revolutionized the academic world and people are shifting towards on line learning (clicks)? Currently, the debate is going on in the world that what is the future of traditional university and class room learning (Bricks) when ICT has revolutionized the academic world and people are shifting towards on line learning (clicks)? Another addition is the convenient access to the world’s most cutting academic research, which has brought about establishments of individual contacts between the academics from different parts of the world. These developments have also brought a new learning paradigm in the universities of technologically advanced countries for millennial, “the always connect generation”. Currently, the debate is going on in the world that what is the future of traditional university and class room learning (Bricks) when ICT has revolutionized the academic world and people are shifting towards on line learning (clicks)? In the recent research conducted in the Pew Internet/Elon University survey, 1,021 Internet experts, researchers, observers and users from the top universities of the world, 60% agreed with a statement that by 2020 “there will be mass adoption of teleconferencing and distance learning to leverage expert resource. There will be a transition to ‘hybrid’ classes that combine online learning components with less-frequent on-campus, in-person class meetings.” Hence, it is matter of great importance to underline that higher education sector of Pakistan is ready to adapt this challenge or as per our demographical conditions of the sub-continent, low literacy rate and stumpy penetration of the internet, we will not be affected by this paradigm shift. And, suppose if we shall not be affected, it implies that our education system is not open to change. Resultantly, it will take another 50 years to catch up with technology based learning as it is being exercised in the world class universities of China, Europe and America. Putting aside war hysteria, neighbor India is doing great in implementing promotion of the use of digital technologies in higher education to facilitate the huge population with cost effective and convenient education. In a recent article by the Business Head, Hughes Communications India, Ltd, it is stated that India is a strong supporter of e- learning and the Department of Electronics and Information Technology (DeitY) has been actively developing tools and technologies to promote it. Specifically, DeitY has supported e-learning-focused R&D projects at various academic educational institutes throughout India. These include content development, R&D technology initiatives, human resource development projects, and faculty training initiatives to improve literacy through distance education. Taking stock of the higher education sector in Pakistan, according to the World Economic Forum Global Competitiveness Report 2015-16, under ‘higher education’ Pakistan is ranked at 124th out of 140 countries. This position has not improved since 2013. Much ambitious plans in vision 2025 by the planning commission of Pakistan and HEC initiative of Medium Term Development Frameworks (MTDFs-I-II) are the key indicators to improve higher education standards and quality in Pakistan so that universities/DAIs can contribute well in socio-economic development of Pakistan. This position has not improved since 2013. Much ambitious plans in vision 2025 by the planning commission of Pakistan and HEC initiative of Medium Term Development Frameworks (MTDFs-I-II) are the key indicators to improve higher education standards and quality in Pakistan so that universities/DAIs can contribute well in socio-economic development of Pakistan. 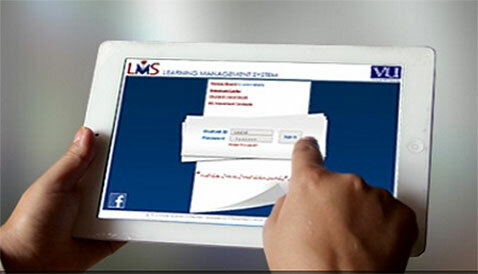 On the other side, Alama Iqbal Open University in Islamabad and Virtual University Lahore are the two full fledge universities using web based learning in Pakistan. COMSATS Institute of Information Technology has initiated its virtual campus and it is going great. Government College University Faisalabad and Gomal University and Dera Ismail Khan are offering distance learning programs to somehow outreach the marginalized areas. But this is absolutely not enough with respect to higher education where presently, there is only 7 percent enrolment of 1.5 million young people and still 4 million between 17-23 years await access to higher education due to lack of financial resources. The question arises, when we are planning to strengthen our existing traditional university system with very slight opening towards web-based learning and use of technologies in learning process of a university student; do we really expect that our graduates shall be competent enough to compete with the rest of the world? There is another side of the picture. Jeff Jarvis, director of the Tow-Knight Center for Entrepreneurial Journalism at the City University of New York Graduate School of Journalism speaks on existences of traditional universities in 2020: “Will there still be universities? Likely, but not certain. There is the idea that our current educational system, start to end, is built for an industrial era, churning out students like widgets who are taught to churn out widgets themselves. That is a world where there is one right answer: We spew it from a lectern; we expect it to be spewed back in a test. That kind of education does not produce the innovators who would invent Google.” Let’s apply the same on Higher Education system of Pakistan. Incredible research outputs, thousands of research papers published each year, Pakistani universities featuring now in Time Higher Education Ranking, HEC’s latest crack down of closing MS & PhD programs of couple of universities because of low quality standards etc. But, does this lead to the new paradigms shifts in the higher education around the world? Or we are just fixing something which the rest of world is drifting away from? Wesley George, principal engineer for the Advanced Technology Group at Time Warner Cable has highlighted that our educational system is largely broken. It’s too focused on the result of getting a degree rather than teaching people how to learn: how to digest huge amounts of information, craft a cogent argument in favor of or against a topic, and how to think for oneself. Individuals learn differently, and we are starting to finally have the technology to embrace that instead of catering to the lowest common denominator.” This almost truly depicts the existing state of higher education in Pakistan. Due to rising cost by universities, drastic developments in ICT and change in learning attitudes of the youth in the world, students are is moving towards reliance on Massive Online Open Courses being offered by Coursera, MITx and Udacity. Interestingly, the module has seen tremendous success in the west and universities are giving proper credits to students who registered and pass the courses. In Pakistan, are we ready to accept this paradigm shift in the higher education? Is there any national or intuitional policy that may drive the respective forces to take proactive measures to address these future challenges of the higher education? The American and Canadian universities started effective use of Social Media technologies sin universities in 2007 and it brought a revolution in students’ life on campus and universities’ image building. Pakistan adopted the same trend after 7 years properly in 2014 and now a day almost every university is using social media for various corporate purposes. Hence, like adopting social media after a lapse of huge gap, do we still have to wait for adopting to web based learning modules or we are not yet ready to accept it? There are notable initiatives in Pakistan. The HEC’s initiative of Pakistan Education and Research Network (PERN) cannot be neglected. PERN is an initiative of HEC, launched in 2002, which is providing communication infrastructure to 250 universities/DAIs, colleges, academic organizations, and research centers to meet their networking and internet requirements. Similarly, the establishment of Information Technology University in Lahore is a great mile stone and many universities are needed in this discipline. Moreover the recent Conference (November4-6, 2016) “School of Tomorrow” organized by Beacon House School System in Lahore was brilliant success at school level which focused on A Digital Future, A Balanced Future, A Safe Future, An Expressive Future and An Inclusive Future. Such initiative must be taken at higher education level as well and let’s be clear and loud about the future of higher education in the world: “By 2020, higher education will be quite different from the way it is today.